Fayetteville City Councilman Tyrone Williams announced his resignation effective immediately. FAYETTEVILLE (WTVD) -- On Thursday, Fayetteville City Councilman Tyrone Williams announced his resignation effective immediately. "It is now clear to me that the facts of what happen don't matter as much as perception. The facts are that I did not violate any law, or ordinance, or other legal authority. But the inaccurate perception of wrongdoing has been fueled by false and misleading accusations in the local media," said Williams in his resignation letter. "There appears to be an agenda to obscure the actual facts of what happened between me and Mr. Jones through the media attacks on my character." His action comes two months after allegations that he tried to solicit money from a developer. William's lawyer Kris Pope said he believed that Williams did the right thing by resigning. He added that Williams had been considering this resignation for a few days. "This is an unfortunate situation and one that was negatively affecting our city's image. 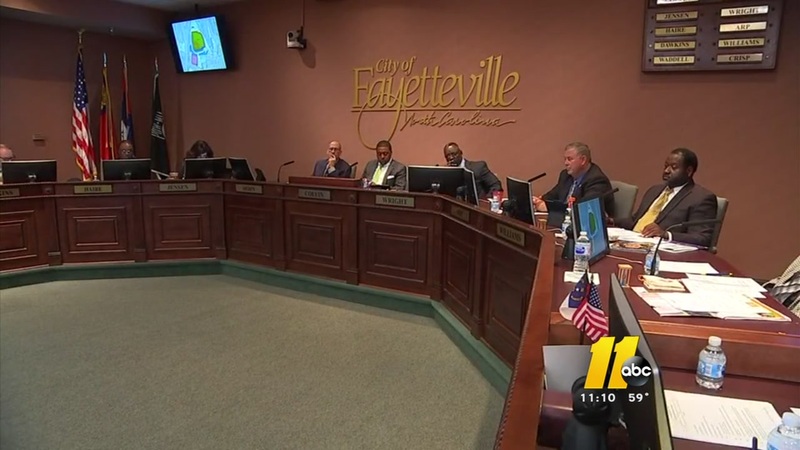 But, it's behind us now and I would like to encourage our Fayetteville City Council and citizens to move forward in a positive tone," said Fayetteville Mayor Mitch Colvin. On Monday night, the city council approved the rules that will be used during the amotion process. In his resignation letter, he claims he did not violate any law or ordinance, or other legal authority. "I don't do this lightly as I have been committed to providing a voice for those who often get shut out of the conversation in City government. But the people of District 2 deserve someone who can speak without being obscured by negative perceptions," said Williams.